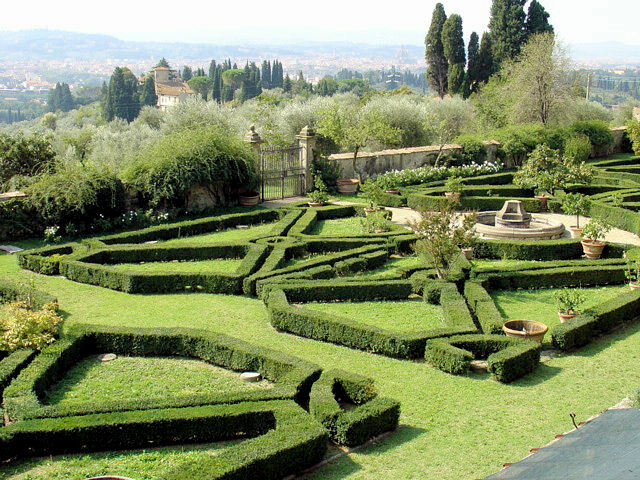 The gardens at the Villa di Maiano with Florence in the background. 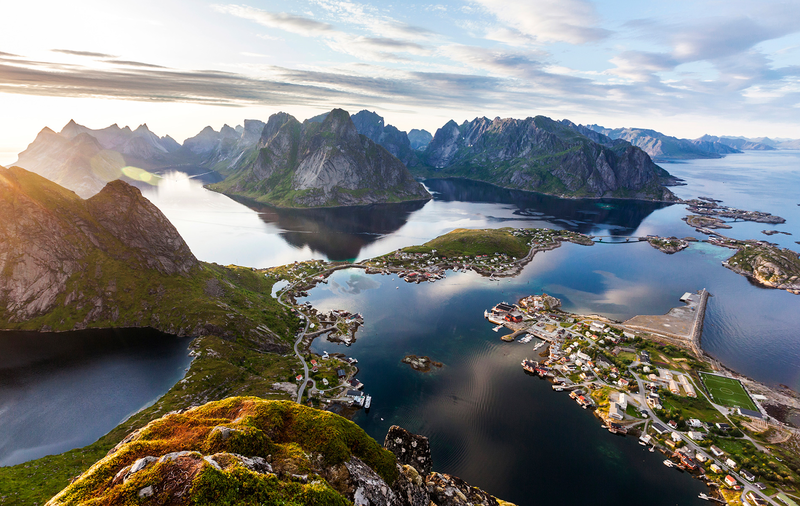 When most of us start to plan our travels to Italy, we start dreaming about visits to historic sites, magnificent architecture, exquisite sculptures and magnificent collections of art, however, there is one more reason to visit Italy that we should put right at the top of our lists – the food! That’s right, those inescapable gastronomic delights that most of us don’t think about until tantalizing aromas envelop us as we make our ways through the streets. Well, it’s time for a little planning. Picture this – hanging out on a Tuscan hillside sipping savory wines, indulging in Tuscan dishes that send your taste buds reeling in delight, and touring a magnificent Renaissance villa – all while you enjoy one of the most stunning views of the Florentine skyline! Well, when I read the description of this half-day guided tour from Florence, I knew this was exactly the way I wanted to spend one of my mornings during my visit – art, architecture and food – it doesn’t get any better! Won’t you join me on this tour and allow me to introduce you to the tastes of Tuscany! 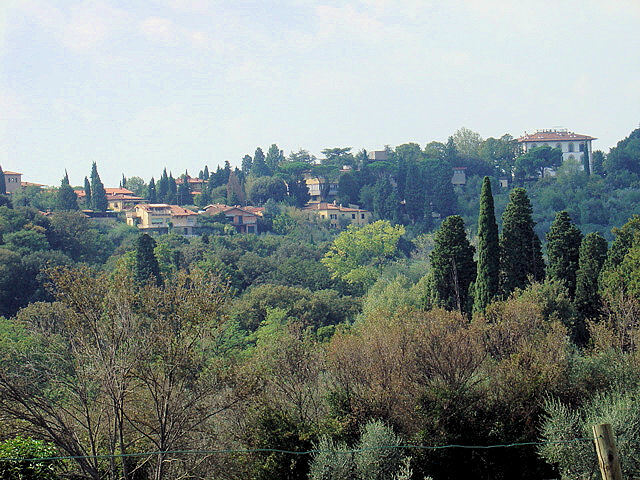 Fiesole in Tuscany just 5 kilometers outside Florence city centre. Although the Tastes of Tuscany tour I describe below has changed somewhat since the time I was there, the main components are essentially the same albeit the extended walk through the Tuscan countryside. I will elaborate on the details later in this article. For now, we begin our introduction to the Tastes of Tuscany! 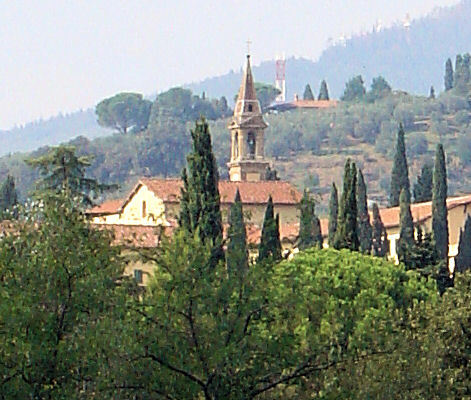 An impressionistic view of the surrounding Tuscan countryside in Fiesole. The tour begins Florence on via Sassetti at about 10 A.M., and from there you’re transported to Fiesole which lies just about five kilometers outside the city. 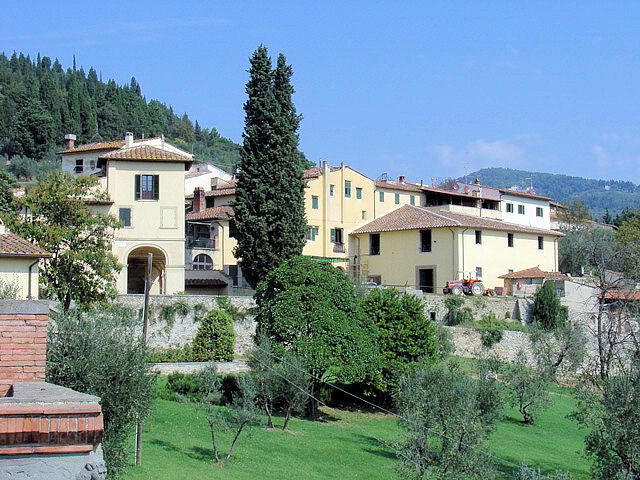 Perched high in the Tuscan countryside, Fiesole feel worlds away from the bustling city centre. 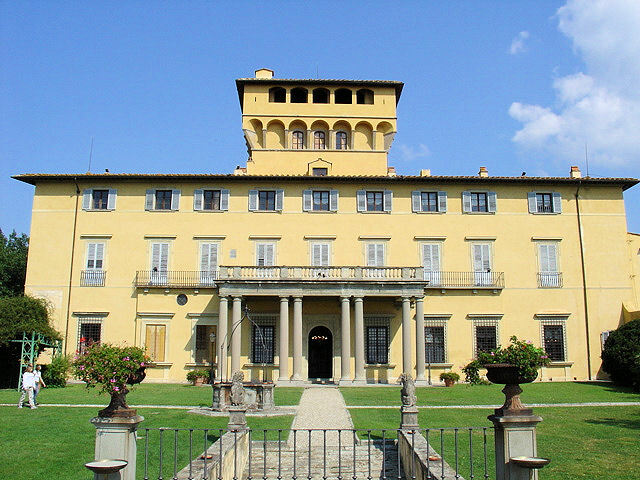 Villa di Maiano in Fiesole just outside Florence. Our first stop is a tour through Villa di Maiano, a magnificent Renaissance fortress that was featured in the movies “A Room With a View” and “Tea With Mussolini.” Originally built in the 1400s by Bartolomeo degli Alessandri, this remarkable edifice has succumbed to many disasters as well as survived numerous changes in ownership and renovations from the Alessandri, Sforza and the Pazzi families in the 15th century to the Tolomei family and Sir John Temple Leader in the 19th. 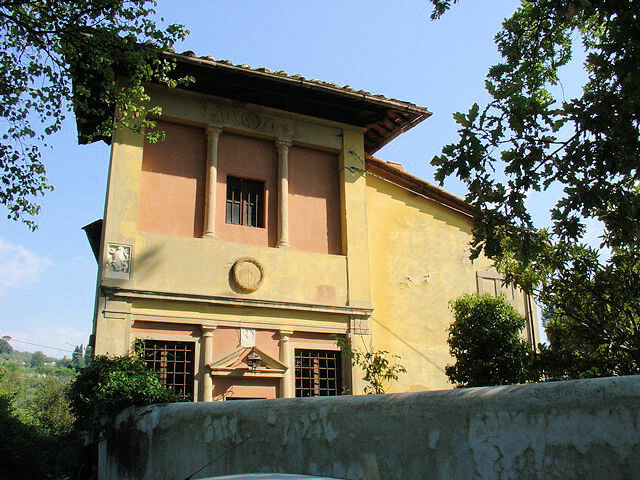 Countess Lucrezia Miara Fulcis dei Principi Corsini, a surviving descendant of the Florentine surgeon, Teodora Stori and his wife Elisabetta Corsini who purchased the villa in the early 1900s, continues to manage the operations of the villa to this day. To read more about Villa di Maiano and its elaborately decorated interiors, visit Fattoria di Maiano. Our fellow gastronomes indulging in the Tastes of Tuscany. 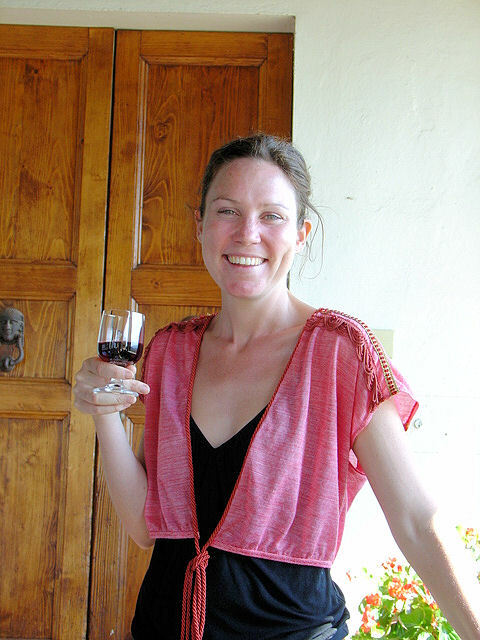 Our lovely Tastes of Tuscany guide – Alice – it's a rough job, but someone's gotta do it!. After the tour, it’s lunch served villa-side overlooking rolling hills of olive groves and vineyards with the Florentine skyline providing a most stunning backdrop to this sublime setting. Don’t forget your cameras! For starters, it was wine tasting and hors d’oeuvres – crunchy bruschettas topped with prosciutto, tomatoes and parmesan cheese while we sipped savory Italian reds and whites from the surrounding region. Antipasto came next, smothered with salamis, cheeses, olives and peppers. Finally, three delicious pastas dishes each dripping with alfredo, marinara or olive oil – some topped with chicken and prosciutto. I don’t have to tell you that the aromas of all of the food and the garlic were intoxicating, not to mention the wine. Rounding out the meal, espresso and a selection of Italian pastries, of course. 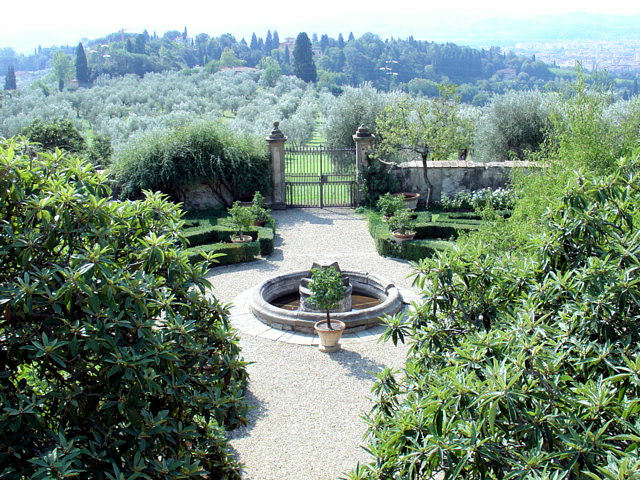 Exquisitely manicured gardens surround the Villa di Maiano. After the meal and a moment of reflection, it was time to begin our return trip to Florence. 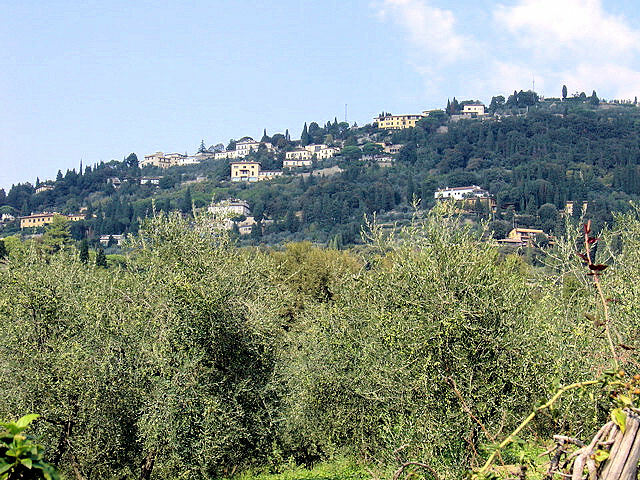 We embarked on a lovely walk downhill past more magnificent villas, through olive groves and vineyards, down to the center of Fiesole where we picked up our bus for the return trip to the city centre. 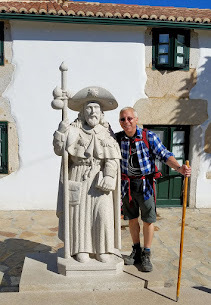 You know, I really enjoyed this relaxing and self-paced hike through the Italian countryside and for those of you concerned about exerting too much physical energy, don’t worry, it’s an easy stroll downhill to the center of town, just wear comfortable shoes. Hiking along the hilltops of Fiesole with sublime Tuscan settings surrounding us. 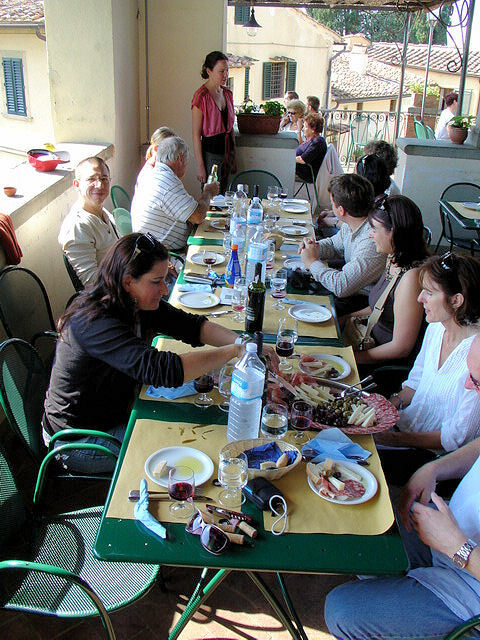 How do you get started planning for a culinary excursion into Tuscany? As I mentioned above, this tour has slightly morphed into two new tours, “A Perfect Morning in Tuscany Tour” and the “Tastes of Tuscany.” Each is described below. Just one of the many villas you'll pass on your descent from the Villa di Maiano. The verdant manicured gardens at Villa di Maiano. YUM! Tuscany has been on my mind a lot lately - hopefully next summer! I agree however, I think Tuscany and the rest of Italy are always on my mind...it's enchanting and lives up to every expectation we have of the rolling links and cyprus lined drives. 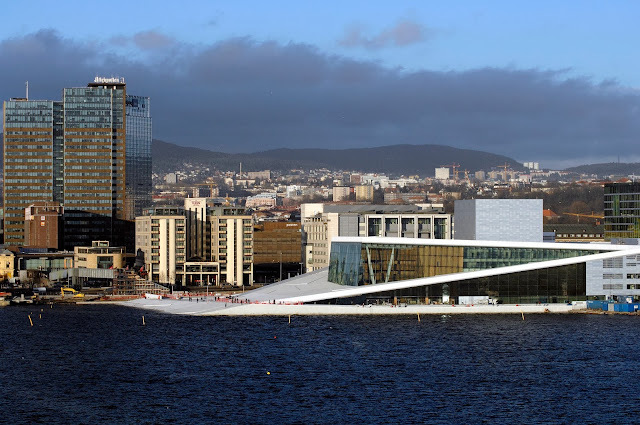 I just love it there!! Good luck on next summer and thank you so much for stopping by and sharing your thoughts! Oh yes, you need to visit, especially because it's just outside of Florence! I hope to got to Umbria next year...Thanks for stopping by and sharing your thoughts and kind words! These are quite wonderfully produced photographs and I love the personal approach to the subject matter - well done! FX, Thank you for your kind words. Tuscany lends itself very easily to producing wonderful photographs that really capture the essence of the Tuscan countryside. Thank you for stopping by and sharing your comments.